In early October, an executive at one of the nation’s largest physician-practice management firms handed her bosses the equivalent of a live grenade — a 20-page report that blew up the company and shook the world of managed care for poor patients across California. For years, she wrote, SynerMed, a behind-the-scenes administrator of medical groups and managed-care contracts, had improperly denied care to thousands of patients — most of them on Medicaid — and falsified documents to hide it. The violations were “widespread, systemic in nature,” according to the confidential Oct. 5 report by the company’s senior director of compliance, Christine Babu. And they posed a “serious threat to members’ health and safety,” according to the report, which was obtained by Kaiser Health News. Days later, someone sent the report — labeled as a “draft” — anonymously to California health officials. Within weeks, state regulators had launched an investigation, major health insurers swept in for surprise audits, the company’s chief executive announced the firm would close and doctors’ practices up and down the state braced for a tumultuous transition to new management. Jennifer Kent, California’s health services and Medicaid director, said her agency received the whistleblower’s report Oct. 8 and, working with health plans, confirmed “widespread deficiencies” at SynerMed, which manages the care of at least 650,000 Medicaid recipients in the state. “I think it’s pretty egregious actions on the part of that company,” Kent said in an interview this week. In a Nov. 17 order issued to insurers, state Medicaid officials said “members are currently in imminent danger of not receiving medically necessary health care services” due to SynerMed’s conduct. The state ordered insurers to determine how many enrollees experienced delayed or unfulfilled services. Consumer advocates expressed alarm at the whistleblower’s findings and questioned why these problems went undetected for so long. Some said it underscores a lack of accountability among companies involved in Medicaid managed care — which receive billions in taxpayer dollars and have expanded significantly under the Affordable Care Act. “It raises questions about oversight by the state and the health plans,” she said. Besides managing care for Medicaid patients, SynerMed also oversaw managed care services for people on Medicare and commercial insurance — 1.2 million patients in all. Physician groups it managed have contracts with most of the state’s largest insurers, such as Health Net, Anthem and Blue Shield of California. 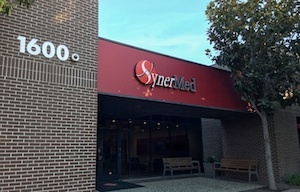 SynerMed, founded in 2001 and based in the Los Angeles area, served as a key middleman in the managed-care industry between health plans and independent physician practices, and its role only grew after Medicaid was expanded under the ACA. Most, if not all, of the patients whose care it managed were in California. Under Medicaid managed care, the government pays a fixed rate per patient to health plans, whose job is to coordinate patient care effectively and efficiently. In this case, health plans passed a share of their money — along with the financial risk of a fixed budget — to physician practices under SynerMed management. As is typical in the managed-care industry, SynerMed and the physician practices could pocket whatever money they did not spend on patients and other expenses. The whistleblower’s report does not address what the motivation was for falsifying denial letters to patients — except to note that the small team of employees felt intense pressure from their supervisors to clear a backlog of paperwork dating back months. But Babu made clear that this was not a rogue operation. The methods they used were outlined in written training materials and knowledge of the procedures extended at least as high as a senior vice president, she wrote. After her investigation, other top executives were informed of her findings. According to the report, she became aware of the problems in late September when a compliance manager heard about an employee falsifying a patient letter for an upcoming health plan audit. Some employees interviewed said they did not know what they did was wrong and said they were fearful of their bosses. One supervisor told Babu that these practices at SynerMed had persisted for many years and “that it had become normal for her,” according to the internal report. Patients in Medicaid managed care and commercial plans are entitled to a written denial notice within two business days of the decision, giving them the ability to appeal to their health plan and then to regulators. Industry-wide, treatment denials were overturned in nearly 70 percent of all medical review cases handled by the state last year. The denial letters fabricated by employees to satisfy auditors often were not sent to patients, according to Babu’s internal investigation. Employees also used software to backdate faxes to doctors’ offices to suggest physicians were informed promptly and properly about the denials. The compliance investigation focused on activities at SynerMed and didn’t address what occurred at physician offices, so it is unclear what doctors knew and what patients actually were told when care was not authorized. In her report, Babu said she felt threatened and pressured to drop the matter during conversations with her boss, the general counsel and chief compliance officer. That person is identified elsewhere in the report as Renee Rodriguez. Babu couldn’t be reached for comment. Rodriguez didn’t return calls. Mason said the company suspended “this individual immediately so we could investigate exactly what information was transmitted,” including whether it included confidential patient information. That person and others were later laid off, he said, as health plan auditors stepped in and the company’s operations wound down. He said the company took the allegations seriously and quickly investigated them. Health plans that contract with SynerMed’s medical groups condemned the alleged wrongdoing and said they were committed to helping any patients who may have been affected. Nearly 11 million people in California’s Medi-Cal program, or 80 percent, are enrolled in managed-care plans, rather than the traditional fee-for-service system. SynerMed billed itself as “one of the largest Medicaid/Medicare management service organizations in the nation.” Given its size and growing stature, insurers, doctors and regulators were caught off guard by the company’s sudden change of fortune. “SynerMed has been at the forefront in how Medicaid expansion has moved forward in California,” said Bill Barcellona, senior vice president for government affairs at CAPG, a national trade group for physician organizations. Unlike in private health insurance and Medicare Advantage, Barcellona said Medicaid managed care is more dependent on smaller physician groups that are less organized.